Always 'up there' in the lists of top Atari 8-bit games and no wonder, such a slickly produced game with a fair amount happening on the screen! 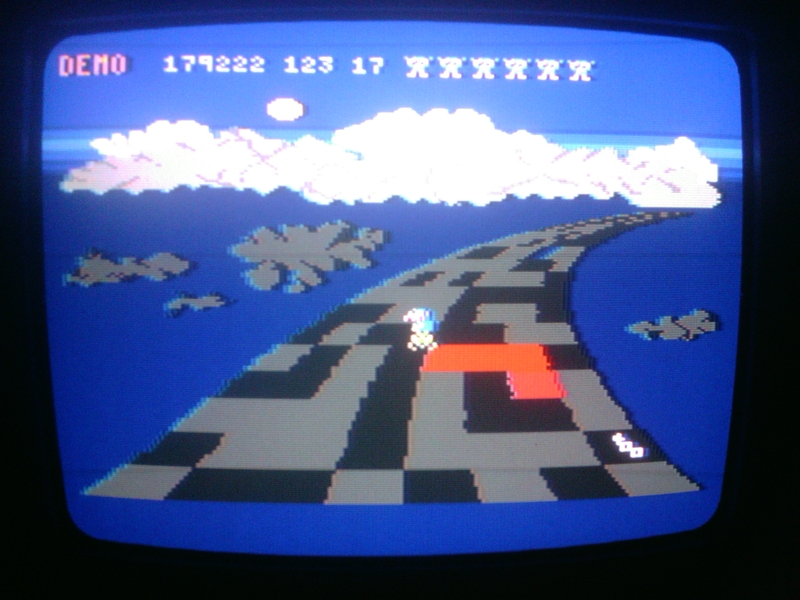 A quick turnaround on this port, about 1.5 days, as the code and data in the game was nicely arranged and so could be re-positioned to the cartridge area fairly easily. There could be potential for making a few tweaks, for example - see how you get on with the Analogue stick without re-centring control of the player could be tricky. If so I can look at using the keypad. Thank you once again, Wrathchild! 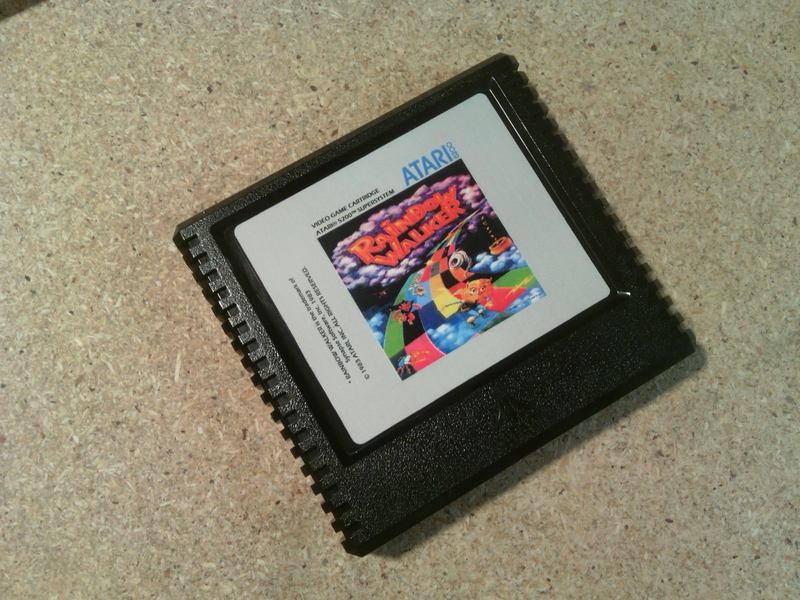 Looking forward to trying this one out on the 5200 - it's a nice game I've enjoyed on the 8-bits! Wow, that was and unbelievable short time!!! Thanks for making one of my favorite games available on the 5200. Awesome to have another good game for the 5200. Thanks for doing this.much appreciated. Can't wait to try it out tonight. Another great conversion! Game controls are more suited for digital than analog, but still quite impressive. 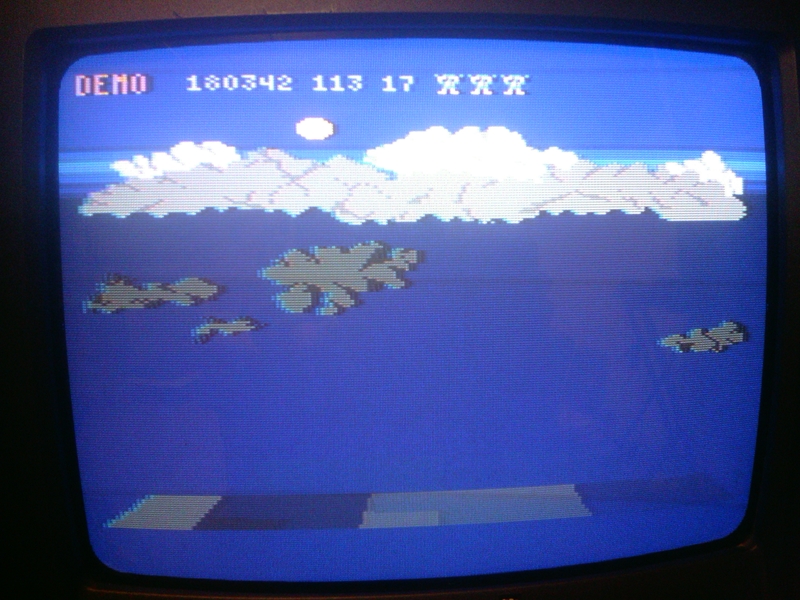 One possible title I can suggest for a possible 5200 conversion is "Tales of Dragons and Cavemen" - which is an accurate conversion of "Rock n Rope". I'll guess it's about impossible to convert "Crownland" - but I guess you have looked into it. A favourite of mine is "Atom Smasher" - I don't know if this has been done? I'm not a 5200 user, but I like to know what is happening with it. 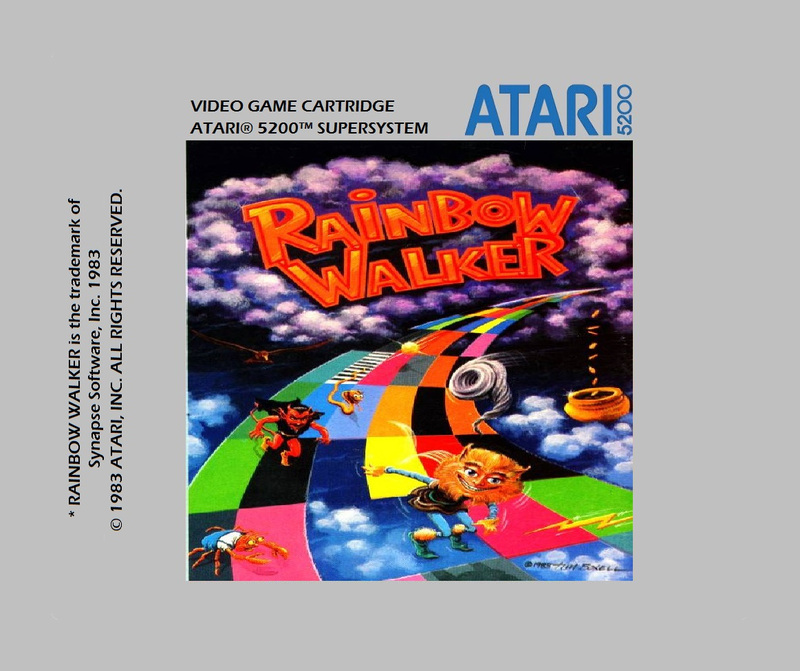 Rainbow Walker on 5200 is a dream come true. I am playing it with a Tac 2 joystick via the Masterplay interface and that works great. I wonder if anyone else had noticed that after a game, if you leave the game to cycle between attract and demo mode, the score will creep up? 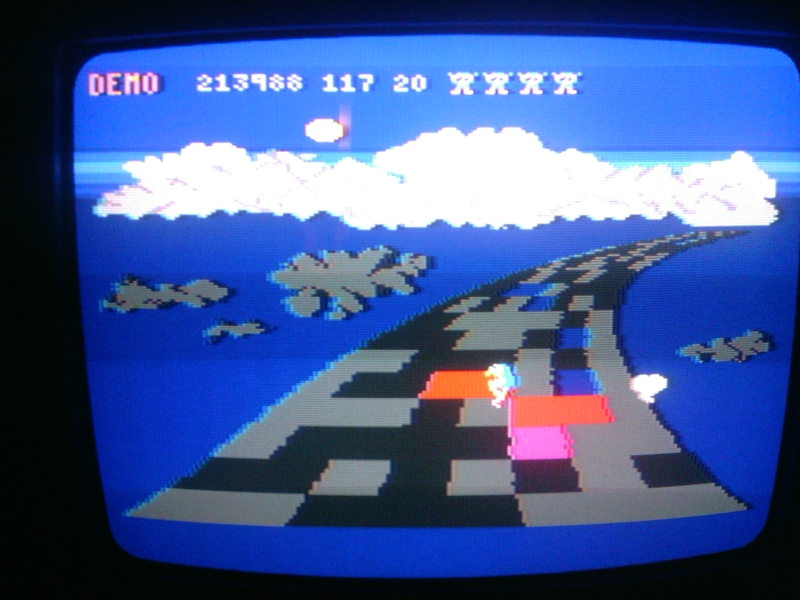 This is not a fault with the conversion but I believe was in the original since I also noticed this years ago while playing the 8bit computer version. Edited by SIO2, Mon May 1, 2017 3:39 AM. Nothing up my 5200 sleeves at this point in time. 'Stealth' has been suggested and from an initial look does appear like it would be do-able, though needing relocation in the way Rampage did. Another title I pop back to on rare occasions to progress the disassembly (and my understanding) is the BBC Micro's "Aviator" by Geoff Crammond. So were that to make it to the A8 then the 5200 would get it too. Life goal achieved! 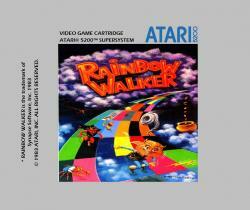 After all these years I finally beat Rainbow Walker by completing level 20. Hmmmm, but what will I do now? Wait for the sequel? I had never heard of this game. It is really fun and colorful. Thanks for porting this.